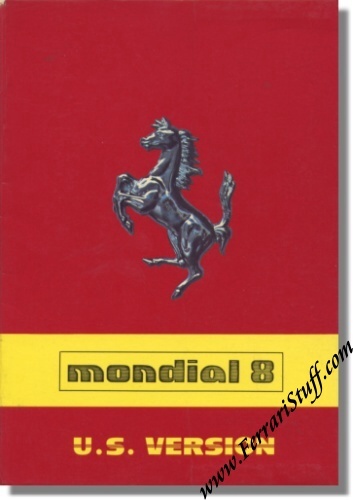 Ferrari Mondial 8 US Version Owners Manual. This Ferrari owners manual contains 100+ pages describing the owning, driving and (simple) maintenance of this Ferrari. Ferrari Print Number 215/81, issued in 1981.